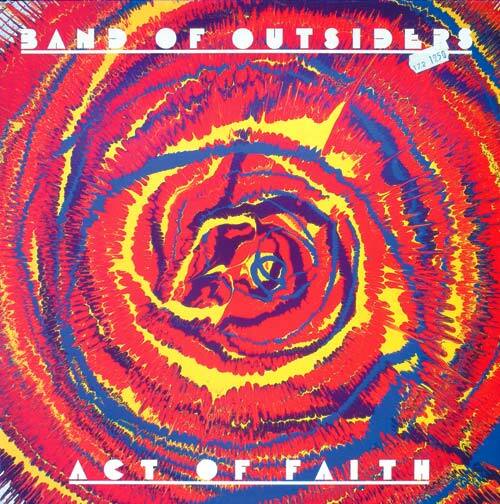 Bright sunny day here… spent the afternoon tinkering with my bikes, listening to this album, when it dawned on me I had uploaded it but not written the post… I have no chance of getting blogger's exhaustion! 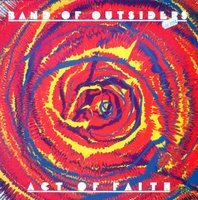 As much as i really love their first album (see post below), much more muscle and sinew, this Act Of Faith album never fails to remind me of days just like today… dazed and sweet. From the lenghty intro of "Conviction", onto the dreaminess of "I wish I was your Kid" to the pummeling of "Fire in the Wall", and the twilight zone of "Clean Saint" and the wailing harmonica of "No Reflection", I wish they had kept on. No hint of passé lyrics or "period-correct" sound, no this is a band at the summit of their power,moving boldly ahead when most others were statisfied by merely replaying the past. This is Chocoreve 2026 blog-fodder, people. Get it while you can, and remember where you got it from. Does anyone know more about these guys or Marc Jeffrey?? Get in touch & leave a comment (with an email address, I intecept all comments before they are published, so it won't necessarly appear here) Diamanda, this also applies to you! I can't get in touch with you! A valid email addy is all I need! Needless to say I am interested in any material recorded by the band, not posted on this blog. This is a 256kb/s rip of a mint IAS copy of the album, lovingly restored by myself, it is all iTunes-ready, just download and enjoy. Still has the original price on the cover… a full 19.50 Swiss Francs, about 65% of todays cheap CDs, without even mentioning "underground" and "import" in the same sentence! It is no reflection of all intentions… it is just a little later. Hi. I'm Marc Jeffrey. Glad you enjoy our old music. What do you want to know? I don't know if you are still interested but I released Marc Jeffrey's solo LP "Playtime" on my label Behemoth. If you would like a copy I can send you one, just let me know. Thank you! I am interested by anything/everything done by BOO and Marc Jeffrey… Just leave me another comment with your email… I moderate comments on this blog and won't show your address here ie I'll remove it from the comment. Thanks for reminding me about Band of Outsiders. I worked in a record store in London in the 80s and used to endlessly play a compilation they were on. Think I'll try to track down that comp now. I know a lot abt em:) Shoot! A quick line to tell any of you out there, either members of the band willing to share memories or songs/demo or anybody else: Just GET IN TOUCH! I need your email in a comment (emails don't get published). I suspect there's still a dearth of BOO material floating about in the unknown… or your attic.